St. John’s is ready to help you plan your next adventure. 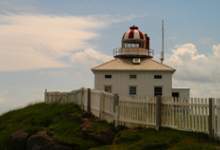 The following section is designed to help you make the most of your visit with information on how to get here, where to stay and what to do and see in and around the City of St. John’s. St. John’s is an urban city with a rich history steeped in tradition. You’ll want to take your time and experience our creativity, enchanting stories, unique customs and spectacular rugged scenery.